I attended training in Bloomington-Normal this week put on by the Illinois Law-Enforcement Training and Standards Board Executive Institute. On the 2nd day of the conference, I sat on a Chief’s panel and was asked a question about police perception and if police actually need to improve or if we simply need to work at altering the public's perception of us. The answer is both. There is a reason we are getting slammed in the headlines and although the media is slanted in the anti-police direction (understatement), there are officers out there who are making all of us look bad. Period. The Aurora Police Department is not in the news. Our excellent training division incorporates deescalation and restraint into mandatory training and because "you play like you practice", we don't have officers shooting people in the back as they run away. We as a profession have to be able to police ourselves and sometimes that means looking at the actions of other police officers and acknowledging that a bad outcome was the result of poor decision-making. Policing is as much of an art as it is a science. That means using all the tools given to you (including your human influence) to achieve the best possible outcome. Identifying and predicting human behavior patterns and choosing a course of action within the confines of the United States Constitution is not easy. It’s the opposite of easy. But you do it with excellence every day. 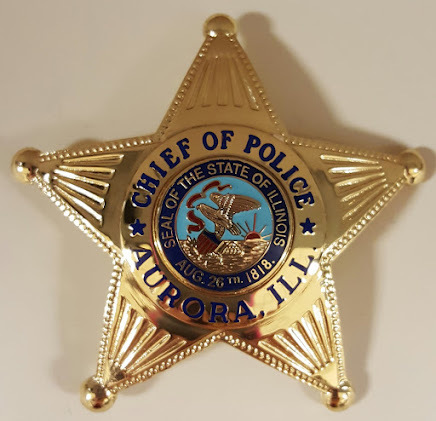 Despite the Aurora Police Department not making the headlines, we are still painted with a broad brush and the actions of one bad cop tarnishes all of our badges. Although it is unfair, the negative perception is real so we must commit to building trust with our citizens one contact at a time. You didn’t cause this mess, but you have the power to change hearts and minds by engaging our citizens. There is a big debate going on in law enforcement about guardians versus warriors and how the latter adds to the negative public perception. I was asked about it on the panel and want to share my viewpoint with you. You will spend the majority of your shift acting as guardians to the City of Aurora. You will solve problems and you will enforce laws so there is order in our neighborhoods and our citizens can live peacefully. Most of you have learned by now that it’s a waste of time and energy to demand respect and instead have figured out that by giving respect freely, you earn it naturally. Respect is earned by looking at people and not down on them. Throughout your tour of duty, there is no doubt that you will show empathy and compassion to many individuals and those acts of altruism will never make headlines. But you will do it anyway. So make no mistake — you are guardians. However, there will be moments where you will have no choice but to transform into a warrior. You are the first line of defense in our city and when there is someone who threatens the peace and safety of our citizens, you must embrace the warrior mindset and run towards the gunfire. You will put yourself in harm's way and risk your own life because you are police officer. It.is.who.you.are. The warrior mindset is what sets you apart from those who don’t wear a uniform and without it, there would be no one to fight the evil that exists. Being a warrior is not a bad thing as long as those skills are applied with good purpose. We cannot shy away from the notion that there will be times where we have to use force to subdue a person whose intent is to harm others. As long as force is applied within the parameters of the law and without excess, you won’t find yourself standing alone. A true warrior fights only to protect and the greatest skill of all is to subdue the offender without violence. That should always be our goal. But I refuse to pander to the negative perception of warriorship and deny that side of us because there have to be people willing to go where others will not. The answer is that we are both guardians and warriors so embrace and hone the skills of both.